After four days of submissions, expert witnesses, cross examinations, and conditions submissions; the third VCAT hearing for this development has concluded. Again, let’s thank the team representing residents at VCAT… Darren, Alison, Melissa, Nik, Anne and Patrick. Plus everyone who helped prepare and drop off objection forms, Statement of Grounds forms, and various updates all about the neighbourhood. And of course all residents for standing up for their neighbourhood and defending against this vulgar incursion on our beloved urban environment. Once more, the VCAT members presiding over the hearing were courteous and provided us with sufficient time for detailed cross-examination and present our submissions in full. 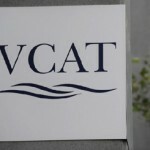 A decision by the VCAT members will take the members some time to consider. It will should not take longer than four weeks as per Major Case List procedure. Monday saw the opening statements and Council present their case including their expert witness. Cross examining by residents and the developer. Tuesday saw the residents present their opening statement, cases, and various documents. An important document presented was a 3D model prepared by resident Nik Bebic. This document was a center of discussion for some time. You can view this residents 3D models using the following links. Model of developers current proposal. Plus, a modified version showing how a reduced form might look and another with additional reductions in size and scope. 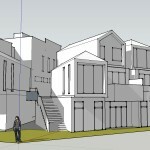 You will need a SketchUp viewer installed on your computer, this page has viewers for Windows and Macintosh computers. The team for residents presented a professional and detailed case. This team who put in so much preparation and time before and during the VCAT hearing include: Darren Williams, Alison Terry, Melissa Gojak, Nik Bebic, Anne Fowler and Patrick Love. Go team! Wednesday the developer presented three of their experts discussing traffic, heritage and landscape. They were cross-examined by residents and Council. Today should be the last day with one more expert representing the developer, all parties right-of-reply, and approval conditions proposed by Council and residents.